What was your first impression of ESAC? I loved it from the moment I walked in. I saw several people putting in hard work and I knew this was the place for me. What is your favorite aspect of ESAC? The simplicity of the equipment. Not a billion machines that just take up space. 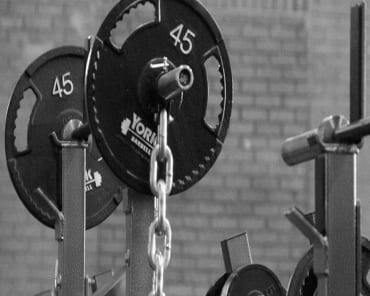 Squat Racks, platforms, and other essential items to help you become a better, stronger athlete. How have you transformed during your time at ESAC? I’ve transformed physically, but the biggest transformation has been mentally. I found my love of simply training and bettering myself again. Have you reached any goals, what are your future goals at ESAC? I’ve reached rep PRs on the big 3. What would you say to someone thinking about signing up at ESAC? What are you waiting for? Awesome facilities and a coaching staff that is fully committed to helping you better yourself, what’s not to love? 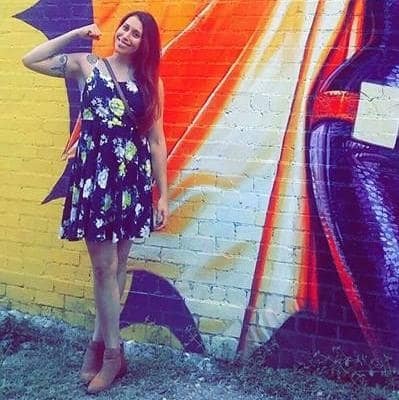 When I moved to Dallas two and a half years ago I was in search of a gym. 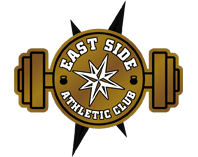 After trying a few gyms I stumbled upon East Side Athletic Club. I’ve now been a member for two years and it has been one of the best decisions of my life. When you join ESAC you join a community. Every day I am greeted with a big friendly smile from the staff and other members. The positive environment really sets the tone for my workout. The staff are genuinely passionate about working with people and love coaching. They are very attentive to each member’s needs. They are encouraging and push you to get through your workouts. They want to see every individual grow and meet their personal goals. 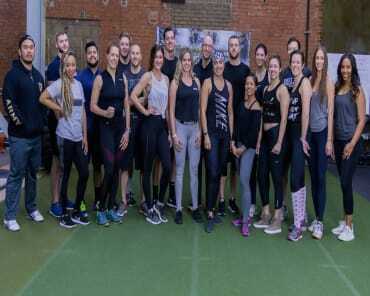 When I first joined I had the intention of staying fit and having an outlet to escape the stress of work. Since being at ESAC I have found a new love for health and fitness. I am growing stronger every day. I have lost body fat and gained strength and confidence. In addition, I am motivated by fellow gym buddies. It’s really amazing to see others transforming their lives. I was recovering from significant health issues and surgeries, and needed to get back on track. My surgeons agreed that physical activity would assist in my recovery, especially range of motion. When I walked into East Side, it had a familiarity that I associated with the days I was training for athletics in high school and college. I felt very comfortable in the environment; it was exactly what I was looking for. When you added in the small group classes and the training staff it was a perfect fit for me. I had actually tried several other places before walking into ESAC. I needed to regain confidence in my abilities, and identify what (if any) restrictions I was going to have after my surgeries. People ask me quite frequently these days about my health and fitness. ESAC is definitely a part of that transformation. People asking about my transformation gives me a sense of pride and it is extremely motivating. It pushes me to keep going and shows that hard work pays off. I am a little over a year into my membership at ESAC and I still look forward to going. The staff is great to work with. I am really enjoying the addition of the green board “circuit work”, it has allowed for an additional variety to my workouts. The fact I can move between the boards and do circuits for a while and go back and hit the weights is a great new feature! ESAC is the best workout, conditioning, and training program that I have found. I’ve tried them all. I have spent years rotating between boot camps, group classes, gyms, meal plans, etc., looking for that perfect combination. With ESAC, the workouts keep my body as well as my mind active and alert. After two months of hard work, I have noticed several positive things. I’m building muscle where I never have before. I feel better overall, but more importantly, I’ve noticed a positive change in my self-confidence level in almost every area of my life. The knowledge and understanding of fitness and nutrition that ESAC's trainers possess are helping me reach my goal. I’m thrilled that I finally found a place that challenges me, mixes it up, and has quickly help me on my way to my goals.